The hit series is back, to charm and inspire another generation of baby-sitters! Lately, it seems like each of the Baby-sitters besides Dawn has been singled out . . . and she's a little jealous. 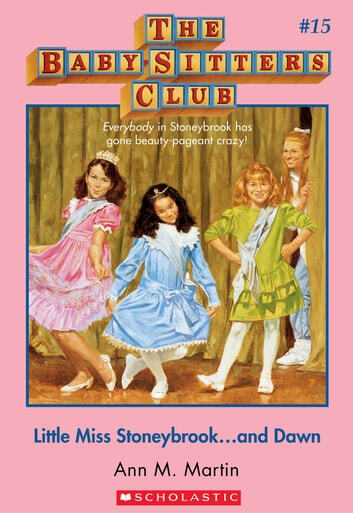 But now it's Dawn turn to shine: Mrs. Pike has asked her to help prepare Margo and Claire for the Little Miss Stoneybrook contest! Dawn's going to do everything she can to help her charges win, even if Margo's only talent is peeling a banana with her feet. But then Kristy, Mary Anne, and Claudia are helping Karen, Myriah, and Charlotte enter the contest, too. It's hard to tell whether the competition is firecer at the pageant--or in the BSC! The best friends you'll ever have--with classic BSC covers and a letter from Ann M. Martin!